Tripods really are a necessity if you’re serious about photography, and that’s that. I know they’re big, bulky and a pain to carry around, but if you want to get rid of that camera shake that seems to appear in every one of your photos, then it’s time to start the hunt for a good tripod. Tripods are especially good for nature shots or macro-photography where you want your subjects to be as clear as possible, but they’re definitely not limited to those types of photography. 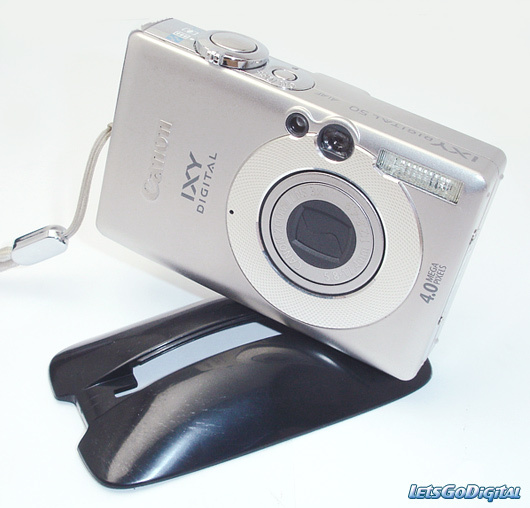 They’re also good for long exposure shots, slow shutter speeds or low light situations. Even if you try to just use a high shutter speed, you still wont have as crisp of a shot without a tripod. When buying a tripod try to think of it as looking for a babysitter for your kid. If I have doubts about a daycare or babysitter, then the kid isn’t going there! I know a child and a camera aren’t the same thing, but in both situations, I want a stabile, trustworthy babysitter/tripod to look after my baby! Look for good construction and stability. These two factors really make or break a tripod. Keep in mind when shopping around for tripods the weight of your camera plus the weight of extras. 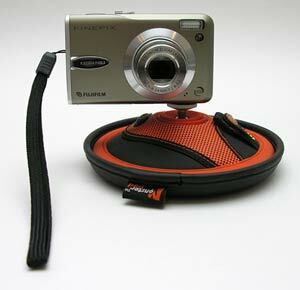 Make sure that tripod can carry the load of the camera, lenses and flash. The last thing you want is for that tripod to topple over with that nice, expensive digital (or film) camera! Remember to check stability of the tripod when the legs are fully extended and the tripod adjusted to a comfortable height for you. Does it wobble any? Does anything seem loose? Remember, after using it over time, parts will get worn. If something is a little loose or wobbly when the tripod is new, you can probably bet the farm it’ll be a lot worse later. Also, remember and check for the height. What’s its maximum, minimum and folded heights? Do the heights work for you? You can find tripods that are extremely tall, or even pocket table-top varieties. Stability and construction really go hand in hand. Try to avoid the plastic models. Yes, they’re lightweight and cheap, but do you want to trust it with your camera? A heavy tripod is a stable tripod. You probably don’t want to carry around one of the old heavy wooden ones. 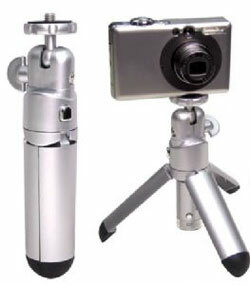 Tripods made out of magnesium alloy, titanium and carbon fiber are available, but for a higher price. Examine what type of head it has. Is that what you want? Does it come with one? 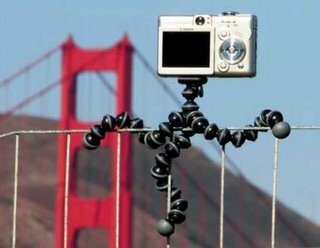 The head is what attaches your camera to the tripod and, without it, you’d basically just have an expensive mini tee-pee skeleton. Some of the tripods come with one that’s removable, which will allow you to just buy whichever type you like. Some come with one that is not removable, and your stuck with it., Then there are the tripods that don’t come with any at all and allow you to buy whichever you like. Heads come in two varieties. There are the pan and tilt heads and the ball and socket heads. I think both have advantages and disadvantages. The pan and tilt heads move up and down, left to right. It doesn’t have as much fluid movement as the ball and socket type, and setting up vertical shots is a little more time consuming. They’re usually a little cheaper. The ball and socket, which positions in any direction, is nice for moving your camera around while on the tripod. I find if you’re trying to just set up a picture and you simply need to move the camera a tad in one direction, this type is more of a challenge. If you want to move the camera a little to the left with the pan and tilt, loosen it and move it to the left and tighten. With the ball and socket though, you loosen and then you have to try and keep the camera level while you move it to the left. You might end up moving it to the left and down or up or left and who knows what direction. 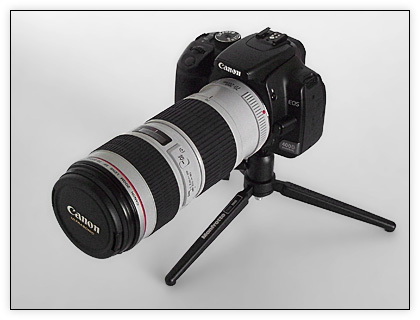 Now that you believe you’ve found a pretty good tripod. You’ve checked out the construction, stability and “kicked the tires,” determined which type of head you need, you should be well prepared to choose the perfect tripod for your needs.